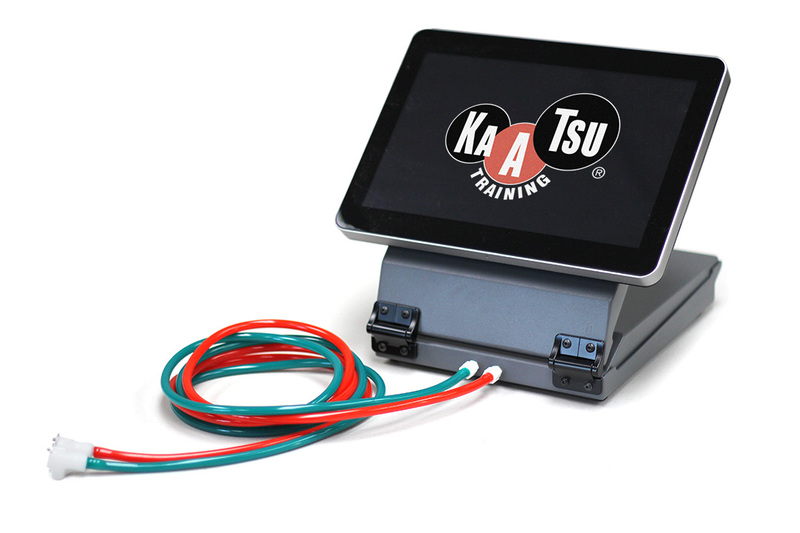 KAATSU Global Blog: How Do You Find The Optimal KAATSU Pressure? The KAATSU Air Bands are available in 3 sizes: Small, Medium and Large. The KAATSU Specialist should measure the circumference of the top of the arm (right under your armpit) and the circumference of the top of the leg (right alongside the groin). Those circumferences will determine the appropriate size for the KAATSU Air Bands. If the KAATSU user exceeds 48 cm in circumference on their upper arms or 70 cm in circumference on their upper legs, then special order ("sumo size") KAATSU Air Bands are recommended. The Base SKU is the pressure after manually tightening the KAATSU Air Bands on the upper arms or upper legs. The pressure in SKU can be manually adjusted by either tightening or loosening the bands as appropriate. There should be no numbness or whiteness in the limbs at all. Numbness may result in an inappropriate placing of the Air Bands where the bands may be pressuring against a nerve. Whiteness or an unnatural paleness in the limbs is due to occluding or cutting off the arterial flow - and this should be avoided at all times. The recommended Base SKUs on the KAATSU Master and KAATSU Nano are different because the size of the compressors in each of these units. A "KAATSU Color" should result when the appropriate Base SKU is applied. That is, a pinkness or rosiness in most individuals or a beefy redness for active adults or athletes will result in the palms of the hands or quadriceps on the legs. After the Base SKU is applied by manually tightening the KAATSU Air Bands, the bands are gradually inflated to the Optimal SKU. This process will take 5-10 minutes to do properly and may take 2-3 sessions to get precisely right. 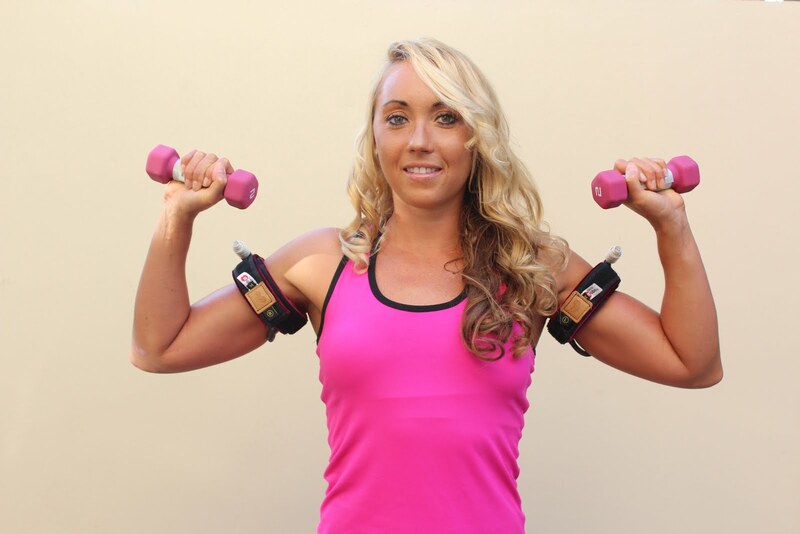 On the arms, start inflating the bands to a level of 100 SKU. On the legs, start inflating the bands to a level of 150 SKU. Ask the user if (1) they are comfortable, (2) they feel any numbness, and (3) they can feel their pulsation under the bands while the KAATSU Specialist checks their Capillary Refill Time. If the user is comfortable and without numbness, check their Capillary Refill by firmly pressing your thumb into the palm of their hands or their quadriceps muscle above their knee. Release and see how quickly the blanched (white) area returns to normal color. If this Capillary Refill Time is less than 3 seconds, this is safe. If this Capillary Refill Time is more than 3 seconds, then the Air Bands are inflated too tightly and should be immediately released. The KAATSU Specialist asks the user if they can feel any pulsation under the bands. If the user cannot feel any pulsation, release the pressure and increase the SKU by 10 SKU for the arms and by 20 SKU for the legs. At the increased SKU pressure (e.g., 110 SKU on the arms or 120 SKU on the legs), the KAATSU Specialist repeats this process and questioning: (1) Are you comfortable? (2) Do you feel any numbness? (3) Do you feel a pulsation under the bands? The user may or may not feel any pulsation under the bands at low pressures. In that case, the KAATSU Specialist continues to increase the SKU pressure by increments of 10 SKU in the arms and 20 SKU in the legs. This process continues until the user feels a strong pulsation under the bands. At the point where the pulsation begins to feel weaker, then the bands have been inflated too much. That is, if there is a strong sense of pulsation at 200 SKU, but there is a less strong sense of pulsation at 210 SKU, then the appropriate SKU pressure is 200 SKU. To confirm that this initial Optimal SKU pressure is appropriate, do a series of KAATSU 3-point Exercises for both the arms and legs. The KAATSU 3-point Exercises for the arms involves 3 sets of hand clenches, bicep curls and tricep extensions. The KAATSU 3-point Exercises for the legs involves toe curls, toe raises, and heel raises (or for more fit individuals, heel raises, leg curls and squats). During the 3 sets of these exercises, the KAATSU Specialist asks the user to do a set of 25-30 repetitions of each exercise (hand clenches, bicep curls and tricep extensions or heel raises, leg curls and squats). If the user can do 3 sets of 25-30 repetitions of each exercise without going to failure, then the Optimal SKU pressure is too low. However, if the user can only do a decreasing amount of repetitions of each exercise before going to failure, then the Optimal SKU pressure is appropriate. For example, if the user can only do 30 bicep curls on the first set, 22 repetitions on the second set, and only 15 repetitions on the third set before becoming fatigued, then the Base SKU and Optimal SKU pressures are appropriate. Individuals of all ages and abilities will find that they will be able to accommodate, acclimate and adapt to increasing Optimal SKU pressures rather quickly between their first KAATSU and subsequent KAATSU sessions. * The higher the Base SKU, the lower the Optimal SKU will be. It is the combination of the Base SKU and the Optimal SKU that is the critical pressure. * There can and will be daily variations of up to +/- 20-30 SKU in the same individual. * The anticipated Optimal Pressure is primarily a function of age, fitness and limb circumference. Regarding age, the highest pressures generally occur between ages 20-30 and decrease for younger and older individuals. Dr Jim Stray-Gundersen, the Chief Medical Officer of KAATSU Global, explains, "There is an overlay of 'physiologic' age that modifies the chronological age. That is, with the elderly who may have stiff, damaged arteries, use relatively low pressures." Regarding relative fitness, the fitter the subject is, the higher the optimal pressure from the same base pressure will be. Regarding limb circumference/cross sectional area, the bigger the extremity is, the higher the pressure will be. 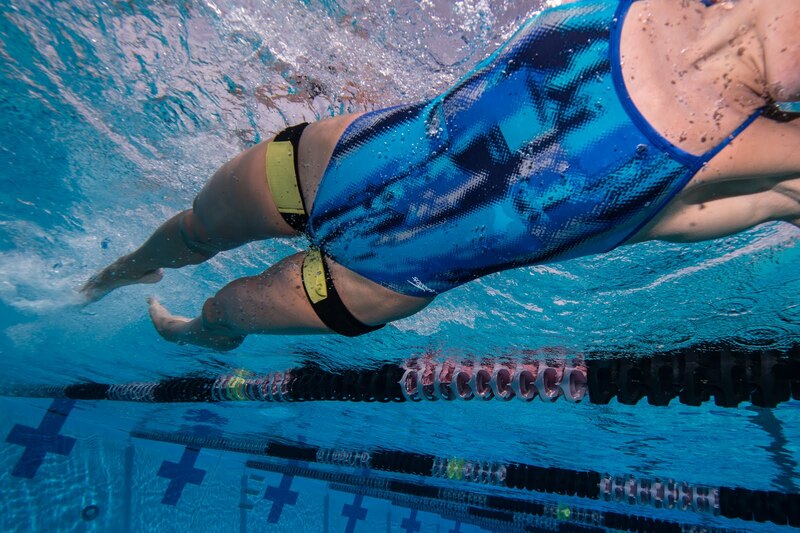 So arm pressures are typically 50-100 SKUs lower than leg pressures. Also, if an individual has the more muscle versus fat in the extremity, they will generally be able to handle higher pressures. As Dr Stray-Gundersen recommends, "Keep in mind what one is trying to do with KAATSU is find the optimal amount of venous outflow impediment so that otherwise easy exercises become unsustainable." Thank you very much for this great post. You should comment manually.